It’s almost the time of the year when people take the time to spoil their mums and express their appreciation for everything she has done. 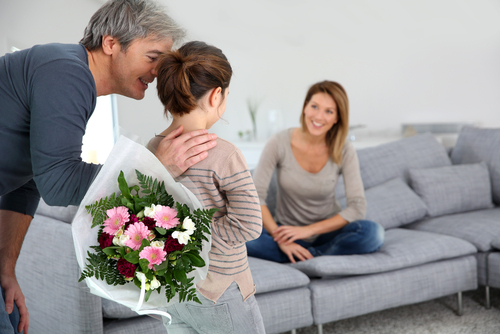 If you’re wondering how to make your mum feel special, you can never go wrong with gifting flowers for the occasion. Of course, not just any flower will do and you will have to make sure that the flowers get to your mum fresh and on time for her special day. If you aren’t sure which flowers to choose, expert florists in Cheltenham can help to ensure that your mum gets a beautiful flower bouquet for Mother’s Day. It’s important to consider your mum’s preference for flowers when deciding which flowers to get. If you know that she favours a particular kind, then that would be the best choice regardless of what anyone says. If your mum likes different types of flowers, then you can create a bouquet which will delight her. What if you have no idea what your mum’s favourite flower is? Well, you can always opt for traditional favourites. Popular options include roses, carnations and of course, Chrysanthemum — the traditional Mother’s Day flower of Australia. You can likewise take into account your mum’s personality and make decisions based on that. For example, if your mum has an outgoing personality and enjoys outdoor activities like gardening, then sunflowers are likely to be one of her favourites. Choose flowers based on colour — each colour has a significance. For example, red roses have always been a symbol of love. If your mum prefers a particular colour, then you would want to take that into account as well. There is no shortage of options in finding flowers that are most suitable for your mother on her special day. You need only to take the time to look around and consider the factors mentioned above. Are you looking for the quickest and most convenient way to get your mum Mother’s Day flowers? If so, the most convenient method is to shop online. Reputable flower shop businesses like “Florist with Flowers” have websites that showcase flower arrangements and other gift options for the occasion. You need only place an Order for bouquets Online for Mother’s day, and they will take care of the rest. Make sure that you place an order for the flowers ahead of time to beat the rush and ensure the flowers you want are available. As the demand can often exceed supply just a few days before the occasion. Are you looking to place an order for Mother’s Day flowers? Check out our beautiful selection of flower bouquets online or phone us today on 02 9871 1666. We would be happy to help you make sure that your mum gets the flowers that she deserves on this special day. Mother’s Day Countdown On- Only 3 days to go!